Dense Pixels - Video Games and Opinion! Episode 281 - Can Stadia Really be as Good as Google Proclaims? Descripción de Episode 281 - Can Stadia Really be as Good as Google Proclaims? This week we're talking about the huge Google Stadia announcement that dropped last week, what questions we still have about the platform, if the US in particular is prepared for a streaming-only platform, and the reaction we may see from the rest of the gaming industry. Micah and Terrence are talking about their first impressions of Sekiro: Shadows Die Twice. Oh, and Sony probably should've set expectations for their State of Play presentation this week. You can now follow us on Twitch! 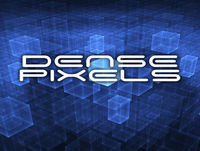 Más del programa: Dense Pixels - Video Games and Opinion! Episode 282 - Borderlands 3 Reveal Reactions! Episode 284 - Why Are People Already Hype About Star Wars Jedi: Fallen Order? Episode 280 - What Would it Take for Us to Buy the Google Console?